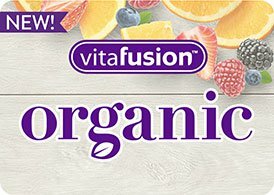 One serving of vitafusion™ Fiber Well™ Fit offers 5g of fiber with the added benefit of six B vitamins to support fat, carb and protein metabolism. 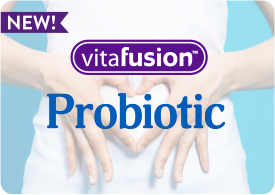 * The soluble fiber in Fiber Well™ Fit aids in digestive health, helps maintain regularity and provides a prebiotic effect in the gut. * Enjoy your fiber™ with these great-tasting, sugar free gummies! Sugar Free with Natural Peach, Strawberry and Berry flavors.